Received the M.Eng. and Ph.D. (with distinction) degrees from the University of Oviedo, Gijon, Spain, in 2002 and 2005, respectively, both in electrical engineering. He is Senior member of the IEEE Power and Energy Society since 2013 and was a recipient of the University of Oviedo Outstanding Ph.D. Thesis Award in 2008. Nowadays, he works as an Associate Professor in the Department of Electrical Engineering at the University of Oviedo (with tenure since 2010). In 2013, he was a visitor professor at the University of Rome (La Sapienza). He worked several years in the field of electrical machines design and faults detection, participating in more than 20 research projects with companies like ABB, Arcelor, EdP, REE, Hidrocantabrico, CAF. Presently his main research interests are focused in the electrical networks modeling and analysis techniques, he worked with conventional transmission network analysis but he also developed models for DC traction networks and special distribution networks like microgrids with embedded distributed generators. 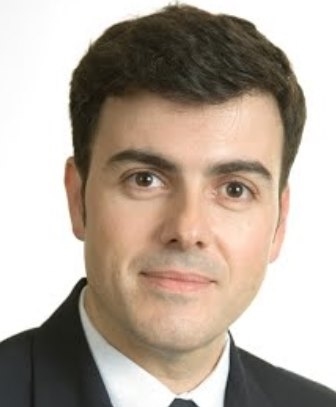 Pablo Arboleya is the author of a large number of publications that have appeared in the leading journals in the field of Electric Machines and Power systems (more than 20 paper in JCR indexed journals) and have been presented at a wide array of international conferences (more than 25 Conference papers). Regarding his teaching activities, he is co-coordinator of the Erasmus Mundus Master Course in "Sustainable Transportation and Electrical Power Systems" (STEPS), (http://www.emmcsteps.eu). Received the M.S. and Ph.D. degrees in electrical engineering and control from the University of Oviedo, Gijon, Spain, in 2001 and 2006, respectively. In 2004, he was a Visitor Scholar with Wisconsin Electric Machines and Power Electronics Consortium, University of Madison-Wisconsin, Madison. He is member of IEEE since 2009. He is currently an Associate Professor with the Department of Electrical, Computer, and Systems Engineering, University of Oviedo. During many years he worked in alternating-current (ac) drives, sensorless control, ac machines diagnostics, magnetic bearings and signal processing. Nowadays he is focused on power converters working as a connection interface of renewable energy and storage systems to the electrical grid. He was a recipient of the 2005 IEEE Transactions on Industry Applications Third Place Prize Paper Award and of two IEEE Industry Applications Society Conference prize paper awards in 2006 and 2010, respectively. He is the coauthor of 19 journal papers and more than 30 conference papers. Regarding his teaching activities, he is co-coordinator of the Erasmus Mundus Master Course in "Sustainable Transportation and Electrical Power Systems" (STEPS), (http://www.emmcsteps.eu). Received the M.Sc. and PhD. degrees in electrical engineering from the University of Oviedo, Asturias, Spain, in 2000 and 2003, respectively. In December 1999, he joined the Electrical and Electronic Engineering Department of the University of Oviedo. He is currently an Associate Professor with the same University, teaching several subjects related to electronics at Undergraduate, Master and PhD level. He was a visitor professor at the Federal University of Santa Maria, RS (Brazil), in 2012, and at the University of Rome (La Sapienza), in 2013. During several years, he’s been with the CE3I2 research team, working on the development of electronic systems for lighting and renewable energy systems, electronic switching power supplies, and digital control for power electronics. Nowadays, he works with the LEMUR research team; his research interests include power electronic converters, including power topologies, control schemes and modeling, digital control, integration of stages, magnetic components and industrial applications, sensor networks, and some aspects of electronic communication systems. Dr. Garcia is coauthor of more than 30 journal papers and more than 60 international conference papers in power and industrial electronics. Dr. Garcia was a recipient of the University of Oviedo Outstanding PhD. Thesis Award in 2005. He is currently co-coordinator in the International Master Course in "Electrical Energy Conversion and Power Systems" (EECPS), (http://mastereecps.uniovi.es). 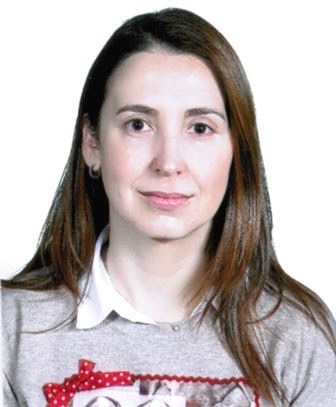 Prof. Cristina González-Morán (cristina.dieecs.com/) received her MEng and PhD degrees in electrical engineering from the University of Oviedo, in 2003 and 2010 respectively. 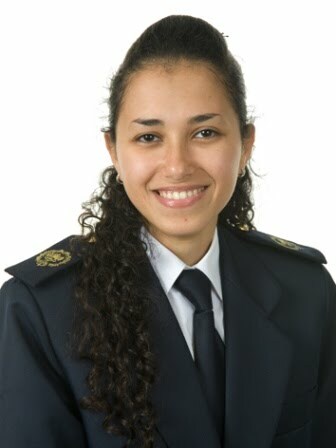 She joined the Electrical Engineering Department of said university in 2005. In 2006 she got an Asturian Government doctoral grant. Since 2011 she has been working as an Associate Professor of Electrical Engineering. Her research interests include renewable energies, distributed generation and power system modeling and simulation. 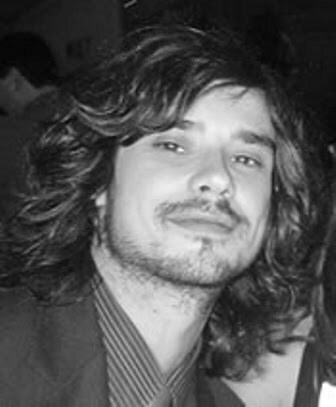 González-Morán is the co-author of over 20 papers indexed in JCR. She is a Senior Member of the IEEE since 2015, and co-coordinator of the MEng in Electrical Energy Conversion and Power Systems (EECPS, http://mastereecps.uniovi.es ). José M. Cano (M’98) was born in Oviedo, Spain, in 1971. He received the M.Sc. and Ph.D. degrees in electrical engineering from the University of Oviedo, Gijón, Spain, in 1996 and 2000, respectively. In 1996, he joined the Department of Electrical Engineering, University of Oviedo, where he is currently an Associate Professor. During 2012, he held an appointment as a Visiting Associate Professor in the Department of Electrical and Computing Engineering, University of British Columbia, Vancouver, BC, Canada. His main research interests include the field of power quality solutions for industry, power converters, distributed generation, and smart grids. 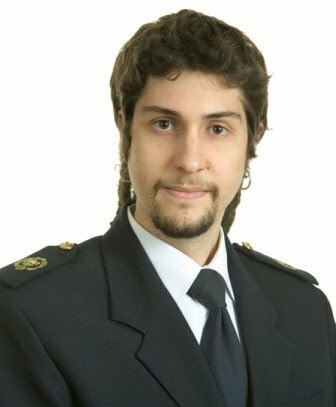 Cristian Blanco Charro (IEEE: S’10-M’11-SM’15) was born in Spain in 1985. He received the B.S degree in Telecommunications Engineering, the M.S. degree and the PhD in Electrical Engineering from the University of Oviedo, Gijón, Spain, in 2010, 2011 and 2015 respectively. In 2011, he was awarded a fellowship of the Personnel Research Training Program funded by the Regional Ministry of Education and Science of the Principality of Asturias. From Sep. 2012 to Feb. 2013 he was a PHD guest with the Aalborg University. He is currently an Assistant Professor with the Department of Electrical, Computer, and Systems Engineering, University of Oviedo. His research interests include modeling and control of islanded and grid-connected converters, synchronization, islanding detection and power quality, microgrids and digital signal processing. Dr. Blanco was the recipient one IEEE Energy Conversion Congress and Exposition prize paper award in 2012. Dr. Blanco received the University of Oviedo Outstanding Ph.D. Thesis Award in 2016. Received the B.Sc. degree from Port Said University, Port Said, Egypt, in May 2010, in Electrical Engineering with average appreciation Excellent with honors degree, and the M.Sc. degree in Electrical Energy Conversion and Power Systems (EECPS) and the Ph.D. degree in electrical engineering from the University of Oviedo, Gijon, Asturias, Spain, in June 2014 and July 2018, respectively. 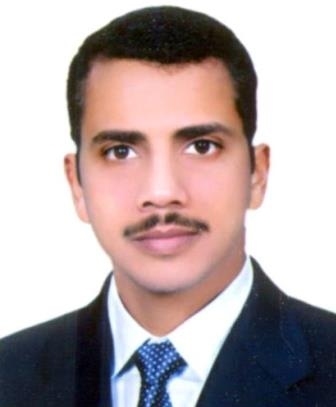 He worked as a teacher assistant in the Electrical Engineering department in Port Said University from March 2011 to September 2012. 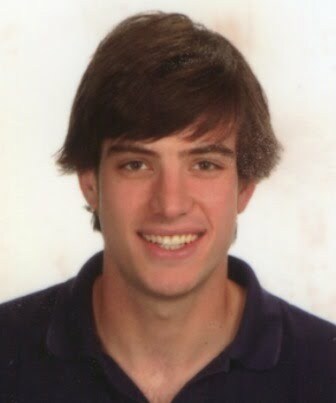 He joined LEMUR research team in University of Oviedo in July 2014. In 2015, he was a visitor researcher with Power Electronics, Machines and Control (PEMC) research group at the University of Nottingham, United Kingdom. He was granted by Erasmus Mundus (MEDASTAR) to do his Master in 2012 and by the government of Principado de Asturias to do his Ph.D. in 2013 in the University of Oviedo. His research interests include Energy Storage Systems, Control Systems, Power Electronic Converters, Microgrids, Renewable Energy, Design and Simulation. Farag Eldemerdash Bassam Mohamed Abouiss. He received the B.S. degree from ZUFOE (Zagazig University Faculty Of Engineering) in 2000, the Master degree in EECPS ( Electrical Energy Conversion and Power Systems, University of Oviedo) in 2014 and the Ph.D. degree in Electrical Engineering by the University of Oviedo in 2018. From 2000 to 2004 he worked as a System Developer at MTSE company. Skills: C, C++ programing (code Composer , Visual Studio ,GCC ), Matlab programing, Simulink simulation and Algorithm implementation. From 2004 to 2012 he was a team leader at MTSE company. Skills: System Modelling and Design, Software work break down structure and Software testing design. Since 2014 he has been working with the LEMUR research group while he is pursuing his PhD at University of Oviedo. He has developed the OpGrid : Software tool development for transmission networks analysis and several Power flow analysis tools for Smart Grid under unbalanced conditions and AC/DC traction networks. 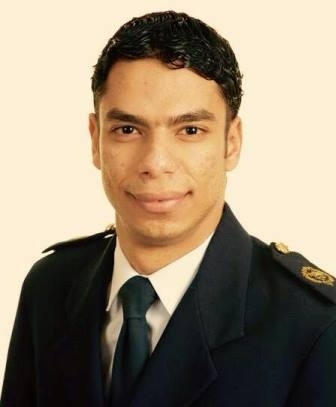 He was born in Egypt, in 1984. He received the B.Sc. degree in electrical engineering from Zagazig University, Zagazig, Egypt, in 2006, and the Ph.D. degree from the University of Oviedo, Gijón, Spain, in 2012. His research interests are focused on IoT, Big Data, Data Analysis and data Visualization for energy management applications. Received B.Sc. degree in Electrical Engineering from the University of Ain Shams, Egypt, in 2013. She was granted the scholarship of “Retention of 15 international young talents to study Master's Degree at the University of Oviedo during the academic year 2013/2014” by the principality of Asturias and received her M.Sc. degree in Electrical Energy Conversion and Power Systems (EECPS) from the University of Oviedo, Spain, in 2015. She is currently working towards her PhD. degree from the University of Oviedo within LEMUR research group. Her research interests include: power electronic converters’ modelling and digital control, design and construction of DC/DC converter topologies, integration of energy storage systems in power electronic applications. Received the M.Sc. degree in Industrial engineering from the University of Oviedo, Spain in 2011 and the M.Sc. degree in Wind Power Systems from the Aalborg University, Denmark in 2012. Worked as Research Assistant of University of Oviedo from 2012 to 2013, joining the same year the Smart Grids department of Iberdrola Ingeniería y Construcción, working as R&D engineer. In 2015 joined LEMUR research team in University of Oviedo to pursue his Ph.D studies. He is student member of IEEE since 2016. His research interests include Power Systems, Control Systems, Power Electronic Converters, Microgrids, Power Quality and Renewable Energies. Received the B.Sc. degree in telecomunications engineering with honors from the University of Castilla La-Mancha, Spain in 2012 and the M.Sc. degree in Electrical Energy Conversion and Power Systems from the University of Oviedo, Gijon, Spain in 2014. 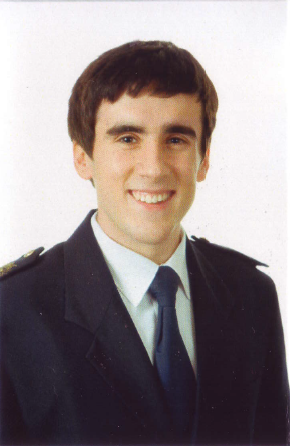 Nowadays he is Ph.D student in the Department of Electrical, Electronics, Computer, and Systems Engineering in the University of Oviedo, granted by the government of Principado de Asturias. He is part of the LEMUR research team in University of Oviedo since July 2014 and his research interests include Energy Storage Systems, Control Systems, Electronics, Power Electronic Converters, Microgrids, power quality and Renewable Energies. Received the B.Sc. degree in Electrical Engineering in 2015 and the B.Sc. degree in Industrial Electronics and Automatics Engineering in 2018 from the University of Oviedo, Gijon, Spain. He was granted with an Erasmus Mundus programme country scholarship for the Erasmus Mundus Masters Course in Sustainable Transportation and Electrical Power Systems (EMMC STEPS) in the University of Oviedo (Spain), the University of Nottingham (United Kingdom), the University of Rome (Italy) and the Polytechnic Institute of Coimbra (Portugal) finished in 2017. In 2017 he joined the LEMUR research team in University of Oviedo to pursue his Ph.D studies in the Department of Electrical, Electronics, Computer, and Systems Engineering, granted by the government of Spain (Training programme for Academic Staff, FPU). His research interests include Power Systems, Control Systems, Power Electronic Converters, Microgrids, Power Quality and Renewable Energies. Received the B.S degree in Electronics Engineering from University of Burgos, Burgos (Spain) in 2015, and the M.S. degree in Electrical Engineering from University of Oviedo, Gijón (Spain), in 2017. In 2014, she was granted with a university scholarship for studying one semester in San Jose State University, San Jose (USA). She completed a half-year full internship in the Automation department of ITCL R&D center, Burgos (Spain) in 2015, and also in the energy department of Arcelor R&D center, Avilés, (Spain), in 2017. In 2016, she joined LEMUR research group from University of Oviedo, Gijón (Spain), where she has continued with her PhD studies since 2017. Her research includes battery integration and impedance estimation. Received the B.Sc. degree in Electronics and Control Engineering, the M.Sc. degree in Electrical Energy Conversion and Power Systems, and the M.Sc. degree in Industrial Engineering, from the University of Oviedo, GijÃ³n, Spain in 2011, 2016 and 2017 respectively. He received the Spanish National Award for the Outstanding Graduate of the Year in 2014. In 2016, he joined LEMUR research team in University of Oviedo to pursue his Ph.D. in Electrical Engineering. He received a Spanish predoctoral grant for the formation in university teaching (FPU) in 2017. His research interests include analysis and control of power converters, energy storage systems, and microgrids. He is a member of IEEE since 2017 and coauthor of 4 international conference papers. He received the B.Sc. degree in Electrical Engineering and Automation from Chongqing University, Chongqing, China, in June 2012, and M.Sc. degree in Electrical Engineering for Sustainable and Renewable Energy from The University of Nottingham, Nottingham, UK in September 2014. 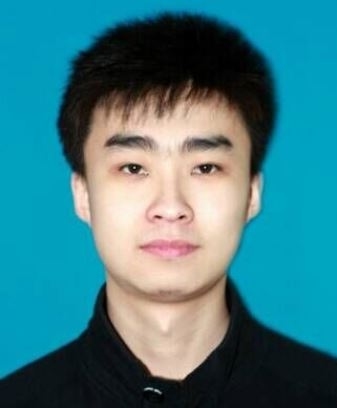 Recently, he is working towards to his PhD degree in Electrical Engineering at the University of Nottingham, UK and China Campus, granted by the International Academy for Marine Economy and Technology based in The University of Nottingham, Ningbo, China. His research interests including Wide Bandgap Power Devices, SiC MOSFETs Power Module Characterisation, Power Electronics Converters, High Frequency Control and Microgrid Applications.